The 3.2 release is here and includes a new Report Builder plugin and a new integration of our Vantage Point pod with the Refined Training platform! The Report Builder provides the ability to create and edit reports based on a specified data source in the LMS. There are two types of reports in the report builder: user generated reports and embedded reports. See the documentation for more information. As part of the integration of Vantage Point with the LMS, a session data link has been added to the LMS for easy access. Each Vantage Point session gathers data and has a report available of the data from that particular session for single instances of a meeting activity or recurring meeting activities. See the documentation for more information. Refined Data Solutions has added a new link to the Refined Tools block providing the ability to search for a user and event, and directly send that user a Single Sign On (SSO) link to enter an event currently in progress. Our hosted clients have the option to store and retrieve objects in Amazon's Simple Storage Service (S3) with the ability to access their S3 files outside of the LMS. 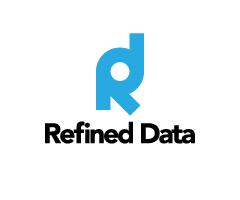 Please contact support@refineddata.com if you are interested in this feature. • Communication between Adobe Connect and the LMS improved - Calls to Adobe Connect from the LMS are improved for when Adobe Connect does not return an expected response. This helps to eliminate the possibility that Adobe Connect is timing out. • The ability to enable or disable the instant regrade message - Ability added on a Connect Quiz with the default set to "No". • Default permissions set for Connect Hosts and Presenters in the LMS - Defaults are set to give the Connect Host the default permission for editingteacher and give the Connect Presenter the default permission for nonediting teacher. • Assignment activity updated for Moodle 2.7 - An minor update was made to the database for the assignment activity to function smoothly for the transition between Moodle 2.5 and 2.7. • Activity completion unlocks for Connect activities - Bug fixed after "unlock completion options" are enabled in a course activity and edited settings are saved and maintained, the activity completion is unlocked. This applies to Connect activities of: quiz, meeting, and slideshow. • Can suspend accounts via bulk user actions - where suspending user accounts via bulk user actions was displaying an error message. Ability to suspend accounts via bulk user actions restored. • PDF acknowledgement must be signed - that the acknowledgement PDF should not be marked complete if the user did not digitally sign / acknowledge having read it. • Maintaining privileges for Connect hosts/presenters - that settings are maintained when the Connect Host or Connect Presenter privileges are associated with a role in the LMS. <<< Click here to browse all articles on the Refined Training platform.